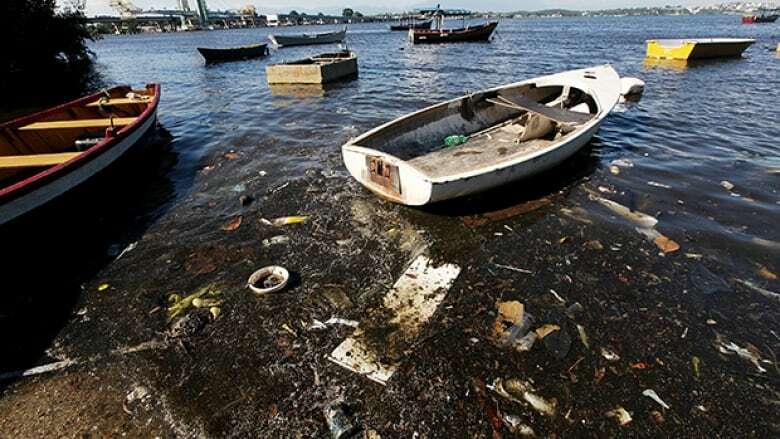 Sailors, coaches and the mayor of Rio de Janeiro acknowledge the problem that Guanabara Bay, the venue for sailing at the 2016 Olympics, is badly polluted. Sailors, coaches and the mayor of Rio de Janeiro acknowledge the problem: Guanabara Bay, the venue for sailing at the 2016 Olympics, is badly polluted. Some liken it to a sewer. "A few days ago, one of the sailors had to jump in the water and the first thing he did after coming up was take a bottle of water and wash his mouth and face," said Ivan Bulaja, a former Olympian who coaches the Austrian team. "When you feel this water on your face you feel uncomfortable. You have no idea what's in it. "I think no sailor is comfortable sailing here. I guess you can get seriously ill."
"I'm sorry that we did not use the games to get Guanabara Bay completely clean," Paes said, adding that he was "not afraid for the health of any of the athletes. Rio state environment officials said in the first three months of the year, three boats retrieved 33 tons of solid waste. Ten will be operating for the test event. "At low tide, it smells like sewage water, it smells like a toilet," said Austrian sailor Nikolaus Resch, who finished fourth at the London Olympics in the 49er class with teammate Nico Delle Karth. "You see people going for a swim. I would never — under free will — go in the water here." To allay fears, the International Sailing Federation and local organizers are encouraging teams to test the water around the course areas. Rio state environment officials describe these areas as "suitable for swimming." "A lot of people have been talking about pollution," Alastair Fox, head of competitions for the sailing federation, said in an interview with The Associated Press. "It would be nice not to be able to talk about that, but we all know that it's there. We need to make sure that as much is done as possible to make a safe and healthy venue." Fox said the ISAF was making no health recommendations, although a physician contacted by AP said all sailors should be vaccinated for hepatitis A. Other waterborne diseases like diarrhea and gastroenteritis can be picked up in dirty water. Fox said many sailors were more worried about floating furniture, submerged trash bags and streams of flotsam fouling their rudders than they were about human waste. "Presuming the water quality is OK — as in the sewage levels — for us, it's imperative we have a clean field of play," Fox said. "We can't have a field of play with any objects in it that impact on the sailors' ability to race." Can roughed up Rio be ready for Olympics?